Power Mac G4 or the latest Intel MacBook Pro, everyone should own a Blu-ray burner. I figured a claim like that needs some explaining, which I will attempt to do in this article. Apologies in advance, this article has been in my drafts folder for months, has been touched up a few times and was now wrapped up quickly just to get it out of my drafts folder. Good protection against scratches will improve longevity. 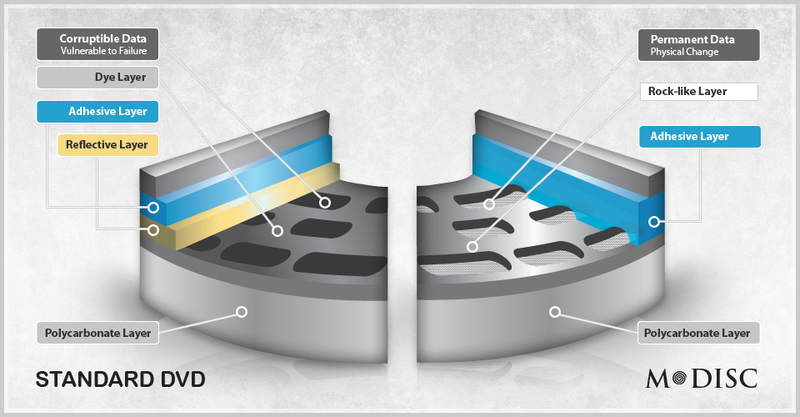 The coating found on Blu-ray discs is much harder than that found on CD’s or DVD’s. Different brands use different names and proprietary techniques to get this done but in short; harder coating = better protection. Optical media is tested using the ALT process, this stands for Accelerated Life Testing. Discs are exposed to high levels of all the elements that can harm and degrade them such as moisture and heat. The levels of exposure are never found in any real world scenario but this allows testers to simulate years of storage in a very short time. From the results in 9 months to a year of testing in these extreme conditions, the effects of normal exposures can be calculated over a much longer time span. DVD’s are said to last 5 to 25 years but because of their soft and easily damaged coating and sensitivity to UV light, unless these discs are stored in ideal conditions you probably won’t have a readable disc after 15 years. And well, with a CD you’re lucky to still have all your data after 2-5 years. I’ve had so many CD’s fail to produce my data after a few years I was very eager to switch to DVD back in the day! That said, I’ve had DVD’s that were burned 10 years ago and failed to give me my data back. Blu-ray is said to vastly outlast DVD, we’re talking 15-30 years at minimum at worst and up to 50 years in other tests. In part due to it’s hard coating and resistance to UV light, I believe it. Of course actual tests on this are hard to find but so far I have yet to have a Blu-ray that failed to produce my data. My oldest Blu-ray is now 4 and a half years old so I’m well within the time frame where even a DVD would likely be OK though. Also, if you get a gold-coated Blu-ray archival disc, manufacturers promise 100-200 years of solid data storage. Someone burn a disc like that and let my great great grand kids know how it turned out, thanks. This is not a “oh look Facebook is so cool, they do it so you should as well” argument, no. Facebook’s lifeblood is your data. Without your data there is nothing to sell. If Facebook trusts Blu-ray enough for long term storage of your data, you should take note. The price per Blu-ray disc is now around $0.72 cents. That gets you 25Gb of data storage which is very very not bad at all! All of the above has the Blu-ray at a clear advantage over it’s predecessors. BUT Blu-ray is not invincible. Depending on the discs you buy Blu-ray can still use an organic dye to burn the data into. The dye is what eventually experiences disc rot, even though the hard coating is in place. Inorganic dye discs are luckily the most common types out there though but beware when purchasing you get HTL (High To Low) Blu-ray discs and not LTH (Low To High) which uses organic dye. M-Disc does away with organic dye and instead of burning your bits in a dye, it basically carves your bits in a slab of rock. No dye to deteriorate means no disc rot and along with the hard coating claims have been made that M-Discs will last up to a 1000 years! Added bonus; heat, light and humidity are not a concern. Now I should mention that all of the above is open to interpretation. Depending on which studies you read, which references you use, which brands you pick and a ton of other factors…. the lifespans may differ. I went with the best research I could find at the time of writing. There is a ton of research, articles, videos and other material out there which can keep you busy for days so don’t take my word for it but do your own research to see if Blu-ray or M-Disc Blu-ray is right for you. The way I read it, even inorganic dye Blu-ray discs while they last longer than organic dye discs, are still not as good as the M-Disc “rock-like layer”. Often quoted is research from the US Defense department that praised M-Disc but I was unable to find this even in archives. What I did find were this, this, this(PDF) and this(PDF). But again, there is much more info out there. Of course the obvious was skipped. Blu-ray holds vastly more data than a CD or DVD with discs available for 25, 50, 100 and 128GB. All that said, I have put my eggs in the Blu-ray basket a few years ago and am now switching to M-Disc for my most valuable data. But you mentioned Power Mac G4, last I checked they did not make IDE Blu-ray burners pal! You are correct (as far as I know), this is why you need to find yourself an external 5.25″ enclosure that can hold a Blu-ray burner! With this you can burn and read Blu-ray on any system. I went through a lot of trouble to find an enclosure that has FW400, FW800, eSATA and USB 2.0 so I can hook that up to any system I own. If my iMac G3 needs a file that I stored on a 25GB Blu-ray disc, this enclosure will allow the iMac to read it straight off the disc. If you frequently deal with older computers that can’t access modern file shares etc, you can see the value of that. You may even be able to squeeze one in your G3 or G5 with the use of a SATA to IDE adapter. I can only speak for two models, those are the LG WH14NS40 and the WH16NS40. I have used both of these for a few years now and have never had a bad burn. Also discs that I have burned with these models are still 100%. I have one in my Mac Pro and one in an external enclosure. Several friends also one of these models and I have yet to hear of any issues. At the time of writing these burners will go for about $55 and $75 bucks on Amazon respectively. For me there’s only one choice; Toast. I’ve been using Toast since I got my very first CD burner in 2000 and have been using it since. Back then it was an Adaptec product and now it is released by Roxio, it does the job and does it well. When it comes to long term storage, Blu-ray is the way to go for me, M-Disc Blu-ray specifically. If you have small chunks of data that need backed up and don’t need 25 or 50GB on a single disc then do check out M-Disc DVD’s as they are far superior to regular DVD’s. Alright, this article did not end up as in-depth and structured as I had planned but at least it’s out there. I hope I got you interested in Blu-ray for archiving your most valuable data but do remember that the best backups follow the 3-2-1 system!